Sprint has a new campaign to get potential customers excited about wireless plans. Titled All-In Wireless, Sprint offers a single $80 a month agreement that features the plan and a smartphone, all for one price. 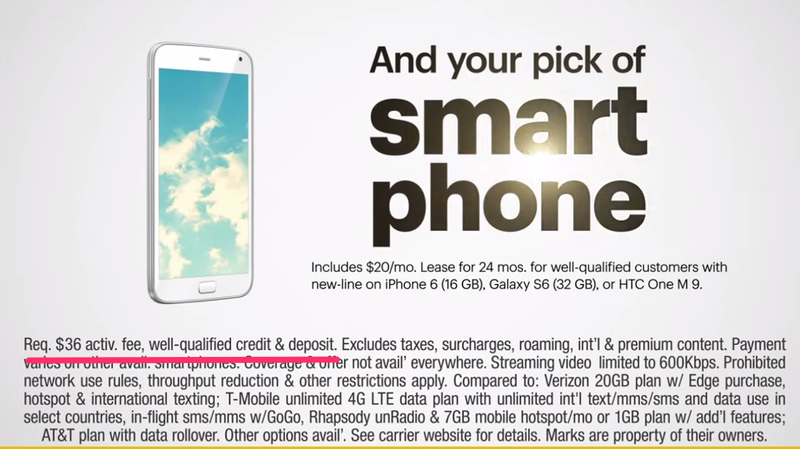 To break it down, users pay $60 a month for unlimited talk, text, and data, plus an additional $20 a month to lease one of Sprint’s most popular smartphones. There is a one-time activation fee of $36, and it will help if you are a well-qualified buyer. In the footnotes of the press release, Sprint also details the treatment your data goes through, which does not sound too pleasant. As noted, “to improve data experience for the majority of users, throughput may be limited, varied or reduced on the network.” This leads to streaming video speeds being limited to just 600Kbps at all times, which will definitely affect playback. Additionally, “Sprint may terminate service if off-network roaming usage in a month exceeds: (1) 800 min. or a majority of min. ; or (2) 100MB or a majority of KB.” These are things to keep in mind. Sprint has a fancy new ad campaign to celebrate, starring none other than David Beckham. Sprint will promote All-In Wireless with advertising featuring international sports star and entrepreneur David Beckham. In the ads, Beckham goes from store to store, asking for a simple wireless plan with a consistent monthly cost. He is met with confusion and frustration at every stop – until he gets to a Sprint store, where he is offered All-In Wireless. The ad premiers tonight during the US Women’s World Cup match, so that’s cool. But if you don’t want to wait, we have placed an extended version below. Update: Sprint already announced that they are removing the 600kbps cap. Comical. You can read more about it here.